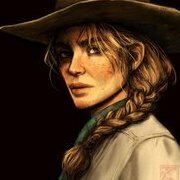 Hey guys, since Red Dead Redemption is a game that comes out once in a decade basically, i really want as many rdr as i can. What do you think is next for rdr? Is it Rdo? Or rdr remake as dlc ( with the original undead nightmare) or a new dlc for rdr2, maybe both! RDRO, RDRO and more RDRO. The PC version will probably be the only time the Story Mode of the game gets highlighted again, thanks to new players. Sadly don't think they'll be releasing any SP DLC whatsoever. Well hopefully some damn Story DLC like the first game. I don't consider RDO a part of RDR so my guess on what's next is RDR3, probably will release around 2028-2034. It will be a shame if we don't get a Story DLC/Undead Nightmare 2 like RDR1. It's what the majority of Red Dead fans want. But who knows, maybe they are working on it. If not online, then hopefully a completely new game. Red Dead needs to have a game that doesn't focus on the Van der Linde Gang. Their story arc is pretty much complete. Yes, it may be nice to see Dutch, Hosea and Arthur in their early days, but that's not what we need. We need a game to be set during the prime of the American Frontier. Show us what we lost in the Redemption games when civilization crept in. Don't just give us countless redemption stories. Arthur and John both had two perfect ones. Let us leave it there while it's good. I mean how much better would it be if The Godfather and Part II where the only ones in the series? I don't know since I'm only going by what I've heard, but do you see the point? It'll be RDO in the future. After that, probably another 10 years until the next sequel. Or might even take longer, depending on how Rockstar handles GTA 6. I think if they're gonna do DLC for SP they should leave Undead Nightmare and go for a 30 mission campaign taking place before RDR2, leading up to what happened in Blackwater. I think if they are going to do DLC it will be about one of the callander boys, probably mac. 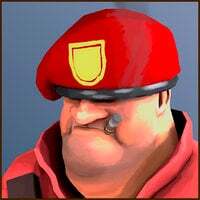 Theres plenty of references and everyone in camp seems to miss them. It would give an answer as to what happened in blackwater and could be pulled off in dlc as its probably not a redemption story. Why not both? Id say an rdr1 remake and a new dlc .. its a game every 10 years ! I have to agree with Arthur here..."new regions to explore" i still do have hope that R* pull around and deliver SP dlc for us, be it non-canon! There was something so fitting about Arthur being in NA, shame R* actually cut it from the story. 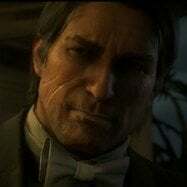 I think that we will play in new austin in dlc of some sorts ..
And went to New Austin in the Epilogue for one of Sadie's bounty missions, and he needs to go there for 100% completion, which is canon. Not a chance, think about it. GTA V came out in 2013 and we are still no where near a GTA VI release. Bully 2 is their next game according to rumors and we don't even have an announcement for it yet. So let's assume they announce Bully 2 this year and it comes out Fall 2020. GTA VI probably won't release until around 2024-2026. So then you gotta give it another year for an announcement for RDR3 and then another year or two before RDR3 release. They'll support it for the next decade I'm sure, through RDO. I really doubt they'll touch single player again. I also seriously doubt we'll get 3 games from them within a 7 year time span. Games take longer now, they are bigger and require much more time. Also there is a possibility we could see Max Payne 4 which would also take up another few years. I'd love to be wrong but if you think about it objectively, we won't see anything RDR single player related until 2028 at the earliest. The only other thing I could see is an RDR2 Remaster on PS5 and the next Xbox, along with a PC release. As to what new content we would get with that I'd look at the GTA V Remaster. I assume a few new things, a weapon or two, a short mystery quest similar to Michael's murder mystery, some new clothes and saddles and maybe bug fixes along with John's proper hair and gloves.